If you’ve ever dealt with a slow toilet, you know how frustrating it can be. The sewer drain cleaning experts at Diamond Snake Excavating in Wappingers Falls, NY, can help. You’ll know your toilet is functioning at less than optimal levels if it’s slow and sluggish. The water drains slowly, often not even completely, and is just as slow to rise. You may be able to plunge the toilet a few times, but you’ll notice that you’re plunging more and more often. It could be a clogged drain or something else entirely. In short, there may be a problem with your sewer pump or within the toilet itself. Here are several reasons you might be dealing with a slow-flushing toilet. A Pipe May Be Clogged: A sewer or vent pipe clogged with buildup could cause a sluggish flush. Mineral deposits might also build up in the toilet tank or on the flush valve—this is especially common in older toilets that have developed buildup over time. The Jets Are Clogged: Conversely, newer toilets are equipped with jets that inject water into the bowl from beneath the rim. Sometimes these jets become clogged, leading to a similar sluggish flush. The Flapper Closes Too Fast: Lift up the lid of the toilet tank and take a peek at the flapper while you flush. Does it come down too soon? If so, there isn’t enough water coming through to properly flush the toilet. This can sometimes be fixed by simply adjusting the position of the flapper. If these issues aren’t the problem, it could even be that the toilet itself was improperly installed originally. If you examine the base of the toilet, you’ll notice a thick wax seal around its perimeter. If the seal breaks, a leak could develop. The curved trap may also develop a clog if it’s not installed properly. A professional can inspect your toilet in depth and determine the problem. 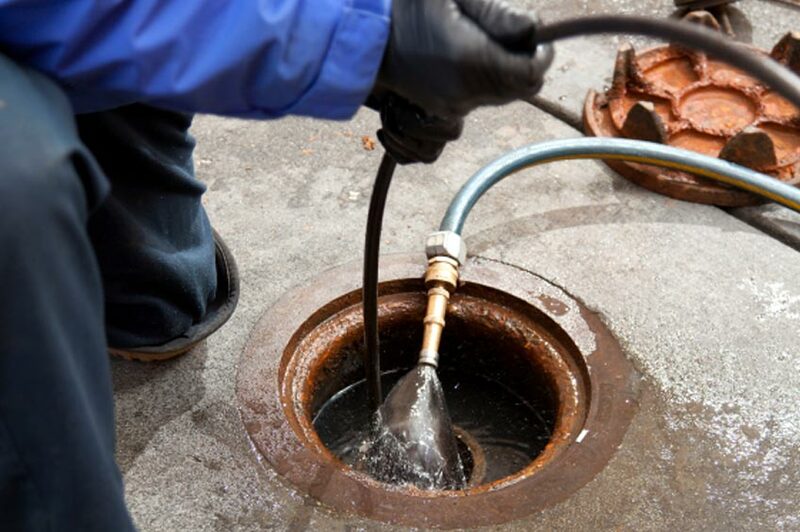 If the problem boils down to a clogged sewer system, the experienced technicians at Diamond Snake Excavating can perform efficient sewer drain cleaning services. From fixing clogged drains to pipe repair, the team works to solve problems as quickly as possible. For more information on their sewer drain cleaning services, visit Diamond Snake Excavating’s website or call (845) 831-5278.